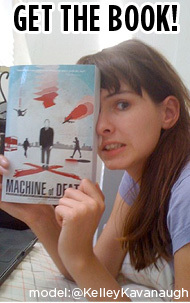 Machine of Death » Get the books! There are so many ways to get our books! 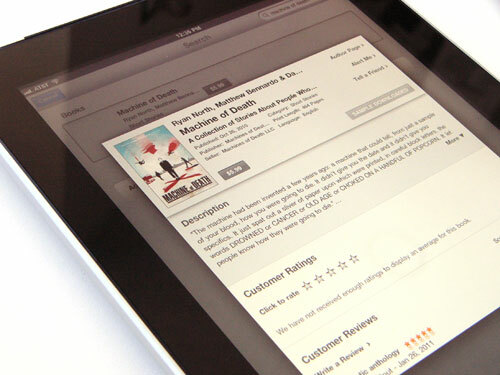 We’ve got all varieties of ebooks and physical books too! • You can buy the first book directly from us at TopatoCo! If you buy from TopatoCo it makes more money for us, but we’re honestly happy just to have you have the book. We have the regular trade edition (pictured above), or the smaller, cheaper “Disposable Edition” as well! • We’re on Amazon.ca and Amazon.co.uk too!! • TopatoCo also ships worldwide, and you can save on shipping if you bundle a bunch of stuff all in the same order. • the ePub version (of Machine of Death only) via Gumroad! • Grand Central Publishing has a list of where you can get This Is How You Die in other ebook formats. We have your back here too! 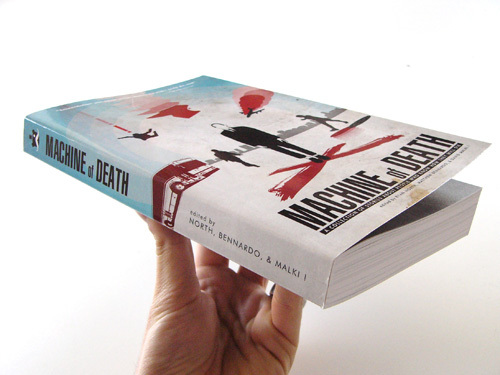 Here’s a free full-content PDF of Machine of Death for you to enjoy. You can also read big chunks of the ebook on Goodreads if you like! Why are we giving away the book for free? Because we think it’s great and we want you to read it. If you love it, buy a copy for yourself or someone else you think is pretty neat! We also have a free PDF sample of This Is How You Die, containing eight full stories (about 90 pages). You can read two more of the stories for free at the Grand Central website!